Retirement Rescue specialises in knowing and advising on the problems occurring in retirement and the later part of our lives. 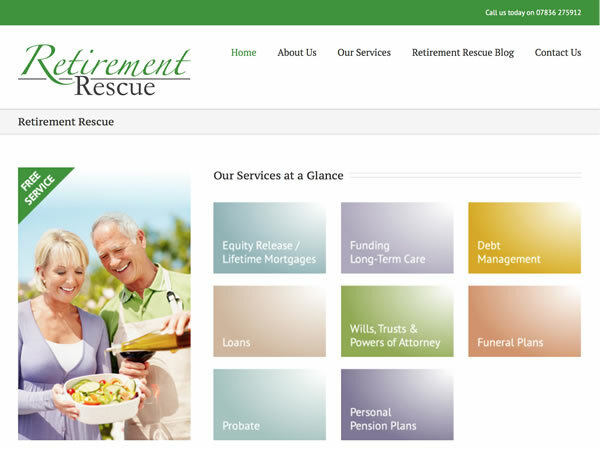 The client wanted a simple, easy to read website that clearly showcased each of the areas of advice offered. Adding print friendly options was very important as many of the customers of the service preferred to see the information on paper rather than read off a screen.